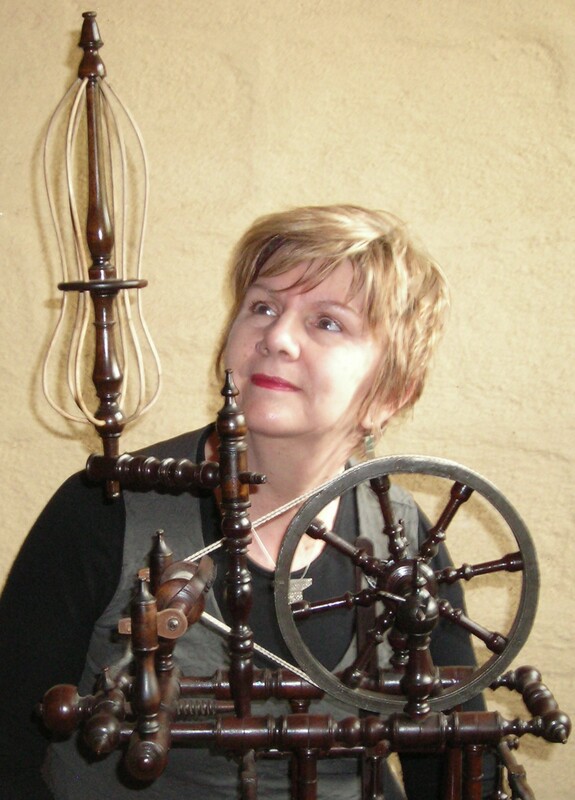 Textile artist, Elizabeth loves working with beautiful natural fibres, hand spinning them into unique yarns. The next step is to fabricate handspun or commercial yarn using knit, crochet or weaving techniques into functional garments and accessories. She uses wool, alpaca and silk for this purpose, in natural colours or hand dyed by skilled artisans. Elizabeth plans the end use of the handspun yarn and then spins it accordingly – for a particular purpose and texture. Each piece is unique, and hopes the wearer feels the warmth and special charm of the handmade.